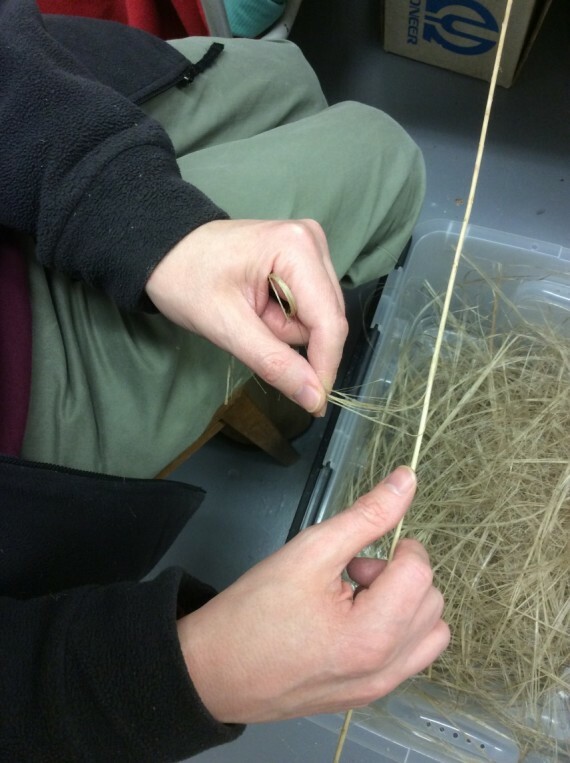 The usual way to extract flax fibre is to grab a handful of stems and then bash them with a mallet. 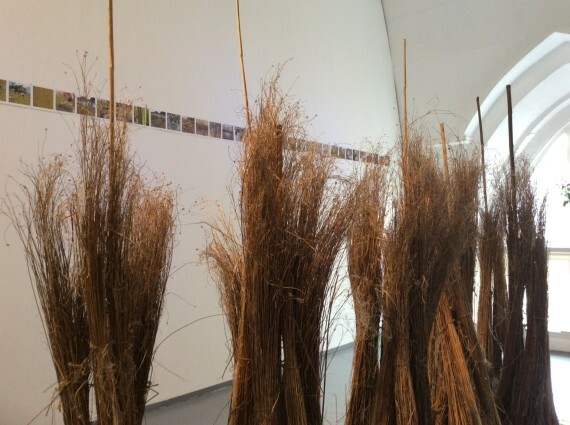 This releases the fibre which can then be combed to remove the unwanted stalk. This is the way a normal person would do it but I happen to be an artist who wants the lovely stems in one piece as they are very sculptural and can be used in the final artworks. However, this does mean painstakingly taking a single stem and gently releasing the fibre before pulling it off and then going back to get those pesky strands that didn’t want to come off first time. Of course, you get the difficult ones where you are about to take the last bit of fibre off and the stem breaks… you say “oh dear” and move onto the next one. I realised that if I carried on at the speed that I was going I would be finished by the end of the year. The only trouble is that my first exhibition is at the end of April. What could I do? I know, hold a stripping party! I advertised around the studios and a number of fellow artists answered the call. 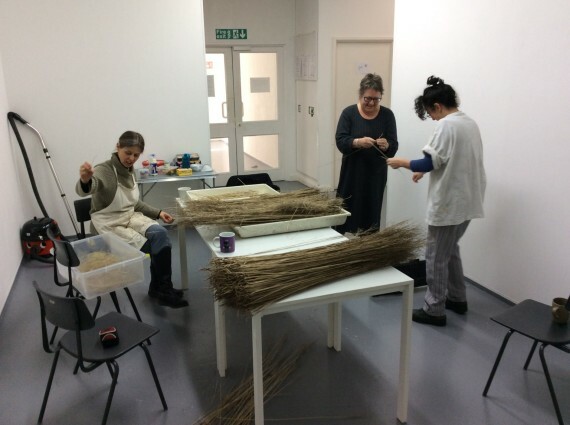 With tea, biscuits and chocolates at hand, Julie, Naty, Ginny and my lovely partner Lucy met in our gallery space to strip my flax. We all had lots of fun and in fact, when asked, Siri said “it was the most fun you can have”. Ginny loved it so much that she even took some home, as did our Studio Coordinator, Letty. I now have a lovely pile to start making paper from, ready for the documentary exhibition which starts in 2 weeks. Now to sort the seeds.